What does the event your are organizing for EXPO entail? The event deals on innovations in agriculture introduced by the Italian research on Scarascia’s initiative. At first we planned to talk about agricultural genetics and plant breeding, but later we decided not to miss the full experience at CNEN, now ENEA, at the National Research Council and at the international level. 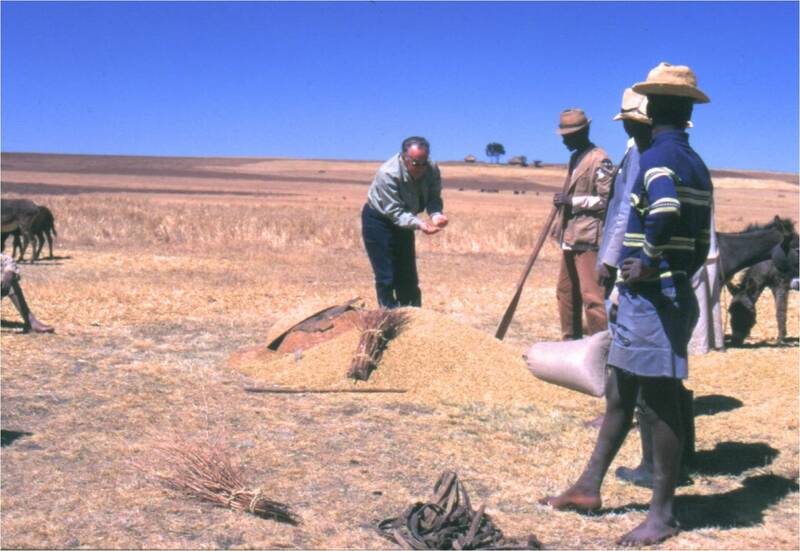 At CNEN he established and led the laboratory for the applications of nuclear energy in agriculture, with research on plant genetics and breeding, biological pest control etc. 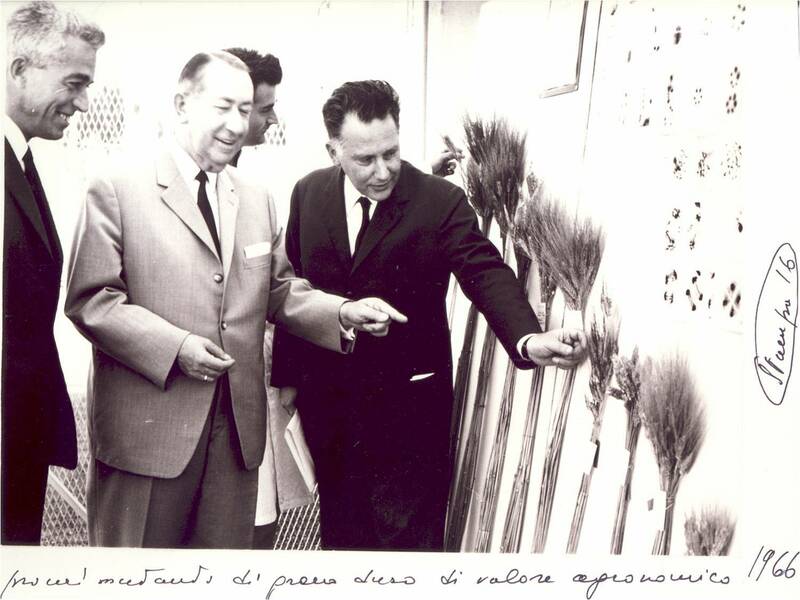 At CNR, as chairman of the National Committee for the Agricultural Sciences, proposed two large-scale targeted programs involving thousands of researchers; on the international arena Scarascia was member of several advisory boards on Agricultural Research. What is the biological control and what was Italy's contribution to its development? In the field of biological control Scarascia conducted the first large-scale experiments during the 50's and 60's by sterilizing millions of fruit flies by radiations and releasing them by helicopter over Procida island, to control cherry fly infestation. Attempts were also made in managing olive-tree flies in different environments. What type of activities were present in the CNEN portfolio at that time? They developed research on the effects of radiations on wheat and other species of crops plants and fruit trees. In addition to basic information on cell division mechanisms they got practical results, short stature fruit and early and ripening fruit trees, different types of peas, but the most evident result was a set of durum wheat varieties directly stemming up from the irradiated material and released with the Castel- prefix on the name (Castel del Monte, Castel Porziano, Castel fusano and Castel nuovo), and a set derived from crosses between mutants a other dwarf lines, such as Tito, Mida, Creso. This last variety was grown for many years on over 50% of the durum wheat area in Italy. Mutant lines were used in crosses over the word. What does Gian Tommaso Scarascia Mugnozza did and why you celebrate him in this event? 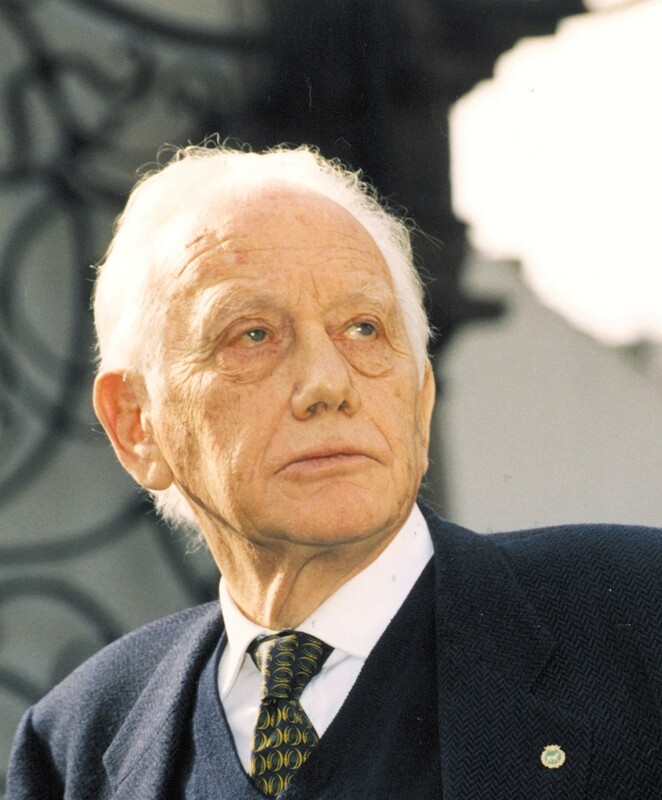 Scarascia worked at CNEN, then was a professor and dean of the Faculty of Agriculture, University of Bari, Rector of the University of Tuscia in Viterbo, President of the Conference of Italian University Rectors (CRUI) and chairman of the National Advisory Committee for Science agricultural CNR. I have said of the experience at CNEN; at University of Bari he promoted plant breeding in durum wheat and sunflower; at the CNR he designed and implemented two large-scale targeted programs for "increasing the productivity of agricultural resources (IPRA) and “Advanced researches for innovations in the agricultural system (RAISA), which included scientists traditionally far from the agricultural sector, from biology to economics, to food processing, food consumption in specific population strata. Thanks to those programs, Italian research for the agricultural system grew enormously. Those two were projects of excellence, both in terms of ideas and results. The results are still presented around the world. They were golden years for agricultural research. What was uncovered in those years? So many things that summarize the results is not easy. The participation of scientists that used to be rather a part was the first important result. Then dozens of patents, prototypes, databases, basic information published in international scientific journals, new analytical methods for characterizing a number of food types, new methods and tools for food preservation and processing without resorting to chemicals, the role of vegetation in purifying the air by capturing solid particles harmful to human health, the ground movement of water and ions dissolved in it, the reaction of plants and animals to stresses such as drought and hot, the possibility of producing plant vaccines, etc. I have listed some results in clutter as they came back to me, but I could go on and on. Has research also sometimes taken the wrong direction? Not in those programs activities, on the contrary some results allowed scientists to take a wrong direction. Growth hormones as useful tool for increasing animal size were under scrutiny in those years. The research allowed to ascertain some genetic and physiological mechanisms controlling growth in some cattle breeds, and how selection had acted in regulating their size as a function of production they supply. The direction and expectations were corrected. But what was the most successful direction taken by the Italian research at that time? 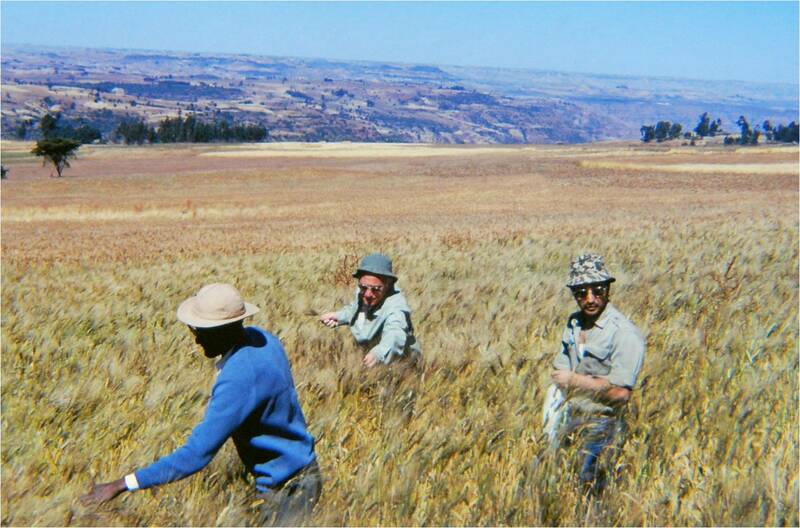 Scarascia promoted research and practical activities for the preservation of agricultural biodiversity. On this frame he promoted the establishment of the CNR Institute of Germplasm in the University of Bari campus. That was the institution in West Europe, the second Institute after the Plant Industry Institute established by the Russian geneticist N. I. Vavilov in Leningrad during the 20s of last century. Today, every Italian region has its own plant and animal protection program, in addition to many private nonprofit initiatives. But this was part of a larger vision aimed at protecting natural resources; soil fertility conservation and enhancement were included in the two programs I have mentioned. The preservation of local traditions and habits was another point. No less important was his contribution to promote interdisciplinary research, as I mentioned earlier. It was a person who had the ability to think and to plan future action in a new and intelligent way, a visionary in English terms. But did not act alone, he led a group; he was a "visionary leader". The EXPO event is aiming to celebrate the peaks that the programs proposed or carried out by Scarascia have reached more than his person. The Expo is not a market with dealers and buyers; rather it is an exhibition of scientific and technological achievements, a place where to present solutions to agro-food problems, where discuss and prospect for solutions to problems present in different environmental and human situations. Solutions developed by Italian agro-food research can be very important in a number of environments, particularly in developing countries, which need new ideas and activities to achieve food security. Is there a proposal at the base of the Expo event? Each nation must have a system of research and at least a research university which deals with local agro-food problems, acquiring and transferring knowledge to new generations, preparing the young leaders of tomorrow. They are pre-requisites, the lack of which leads to import ideas and technologies, prepared in other environments and for other situations. It is a different form of colonization. We can then ask whether the scientific and political world is ready, within the framework of actions undertaken in these countries, to teach to crop instead of sending grain. Is the industrialized world able to provide this kind of help, instead of sending surplus? If we, western countries, had acted in time, if those populations had reached a level of comfort close to what we enjoy, how many of those crossing the sea on fragile boats would move from their places? Discuss and verify the needs of those populations, propose action, check with them how we can express our solidarity: this was the spirit which guided our competition to host the EXPO in Milan. How and what does Italy respond? What and how does the Western world respond?